With continued focus on the housing market and more affordable housing developments being granted permission, now is the best time to promote to this growing sector, and be seen as a leading supplier that is ready to do business. 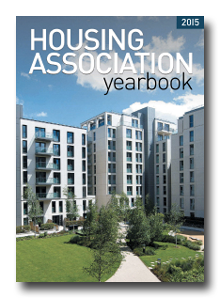 The HOUSING ASSOCIATION YEARBOOK reaches every housing association in the UK and their members which includes specifiers, buyers, contractors, architects, building surveyors, housing managers and maintenance professionals, for the housing association and local authority, construction and refurbishment sectors. Maintain a year long presence with just one cost effective entry in the book that is referred to every working day of the year by active buyers. The majority of building products sold today are ordered by the public, commercial building developers and house building companies. This is now changing to include buyers for housing associations and contractors as social, affordable housing becomes ever more necessary. The HOUSING ASSOCIATION YEARBOOK is designed to provide a highly valued reference tool, enabling these buyers for the industry to identify and locate the leading suppliers to the sector.